Few Dallas realtors can hold a candle to Nancy Johnson in residential real estate. With 16 years of experience, this veteran professional is among the top echelon of DMagazine’s Top Producers. Even though “Johnson” is a common name, Nancy Johnson is an uncommonly successful realtor. Her name alone has become the brand that sells. Nancy concentrates on established and distinctive Dallas neighborhoods, those special pockets of the city with a small town feel, including Lakewood, M Streets, Hollywood Heights, Casa Linda, Park Cities, Preston Hollow, and Lake Highlands. Drive around those neighborhoods to see multiple “Sold” signs. In 2015 alone, there were an astounding 98. Nancy didn’t earned her inestimable reputation by merely placing “For Sale” signs in yards. She achieved this level of success by making each client her number one priority. She views her role in real estate as a guide, illuminating the processes of buying and selling for clients, steering each through the complexities of ever changing markets. 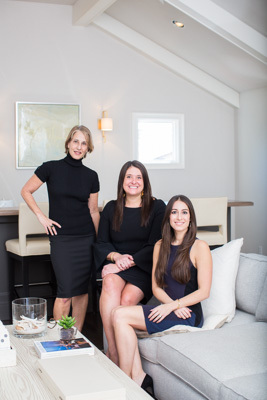 After listening carefully to clients’ needs and concerns, she formulates uniquely tailored plans for potential homeowners and sellers. Drawing on her extensive background in residential property and her business savvy, Nancy Johnson’s informed plans invariably result in maximum value for her clients. While financial advising is critical in real estate transactions, it is still only part of the whole picture. Renovating, decorating, staging, and advising on paint colors are all part Nancy Johnson’s full-service package to show a home in its best light. Properties without this kind of attention to detail often languish on the market, but that seldom happens with a “Nancy Johnson” listing. After the closing, Nancy maintains longstanding relationships with her clients. “Friends become clients; clients become friends,” Johnson says. “Purchasing a home is one of the most significant financial investments of your life. It is tremendously rewarding to help guide clients through the home buying process, and then receive their Christmas cards with pictures of the houses you put them in.” Nancy also continues to assist her “friends” with retaining their homes’ value. Her tenure as a professional in the community has given her access to a network of quality service providers and remodelers which she makes readily available. Real estate expertise is not developed in a vacuum. A Lakewood local, Nancy is active in the Lakewood Women in Business, serves on the membership committee of the Lakewood Country Club, and is an active volunteer with the Wilkinson Center, Habitat for Humanity, and American Cancer Society. Married, with two adult children, she is also a runner and avid tennis player. © 2019 Nancy Johnson Group. All rights reserved.